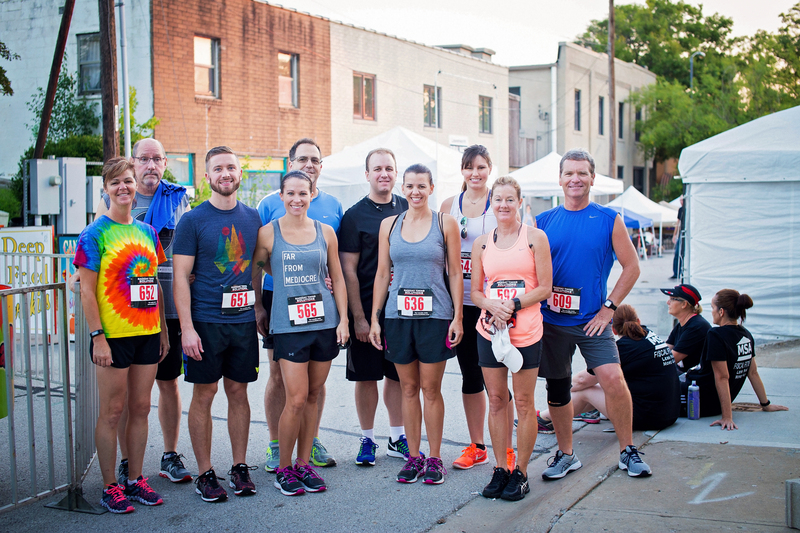 The 40th Annual Bonner Springs Rotary Tiblow Trot 2 Mile Fun Walk, NEW 5k and 5 Mile Run is August 25th, 2018 at 7 a.m. Meet at Kelly Murphy Park at 2nd and Elm Street in Bonner Springs, KS. Sign up now! This entry was posted in Announcement, Fundraisers, Tiblow Trot and tagged #TiblowTrotTurns40, 40 Year Anniversary on April 7, 2018 by Bonner Springs Rotary Club. We are so proud of our annual Tiblow Trot 2 mile walk and 5 mile run. 39 years! Next year will be our BIGGEST year yet to celebrate our 40th. This is one of the oldest runs in Kansas City! Check out the results and photos HERE. Thanks for everyone’s support. We couldn’t do this fundraiser without the help of our volunteers, participants and of course, our amazing sponsors. This entry was posted in Uncategorized on September 8, 2017 by Bonner Springs Rotary Club. The 39th Annual Bonner Springs Rotary Tiblow Trot 2 Mile Fun Walk and 5 Mile Run is August 19th, 2017 at 7 a.m. Download the registration form and mail it in. Meet at Kelly Murphy Park at 2nd and Elm Street in Bonner Springs, KS. All funds raised go toward scholarships and the Rotary’s Polio Plus Program to end Polio worldwide. This entry was posted in Announcement, Fundraisers, Rotary Programs, Tiblow Trot, Volunteer Opportunities and tagged 39th Annual Tiblow Trot, August 19 on March 26, 2017 by Bonner Springs Rotary Club. The 38th Annual Bonner Springs Rotary Tiblow Trot 2 Mile Fun Walk and 5 Mile Run is August 27th, 2016 at 7 a.m. Register online now. Meet at Kelly Murphy Park at 2nd and Elm Street in Bonner Springs, KS. All funds raised go toward scholarships and the Rotary’s Polio Plus Program to end Polio worldwide. Race begins promptly at 7:00 AM – rain or shine. Parking: We suggest parking at Bonner Springs Elementary School or along the nearby streets (2nd, Forest, Neconi). Downtown streets (Elm, Oak, Cedar/32) will be closed for Tiblow Days. Using the school parking lot will allow you a nice warm-up run or walk up the 2nd street hill to registration at Kelly Murphy Park at 2nd and Elm. Note: Neconi is a southward one-way street between Shadyside and 2nd Street. You can enter the school parking lot from 2nd Street just west of Neconi. Click on the map below to view a larger version. For more event information, please contact Bruce Coleman at 913.422.3040 or bruce@colemanequip.com. This entry was posted in Announcement, Fundraisers, Tiblow Trot on March 6, 2016 by Bonner Springs Rotary Club. 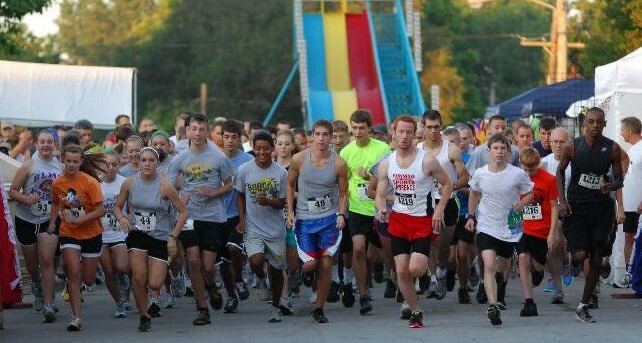 The 37th Annual Bonner Springs Rotary Tiblow Trot 2 Mile Fun Walk and 5 Mile Run is August 29th at 7 a.m. Register online now. Meet at Kelly Murphy Park at 2nd and Elm Street in Bonner Springs, KS. All funds raised go toward scholarships and the Rotary’s Polio Plus Program to end Polio worldwide. This entry was posted in Announcement, Fundraisers and tagged 2 Mile Fun Walk, 2015 Tiblow Days, 37th Annual Tiblow Trot, 5 Mile Run, Bonner Springs Rotary Club on May 29, 2015 by Bonner Springs Rotary Club. 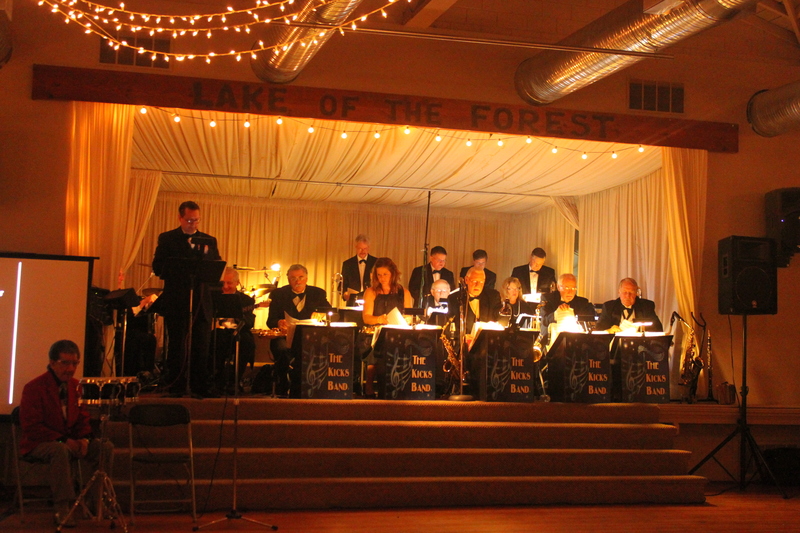 Thank you for contributing to the Bonner Springs Rotary’s “Speakeasy: An Evening of Live Music and Fun!” held on Saturday, November 1 at Lake of the Forest Club House. The event benefited Bonner Springs community partners Allegro Choirs of Kansas City and Vaughn-Trent Community Services. It is only with the help of volunteers and supporters like you that we are able to provide support to these two amazing organizations that are making a difference in the community. Please recognize our sponsors and our silent auction donors listed below. We are proud to announce that we raised more than $7,000 during this special night. Please make sure to check out the Bonner Springs Rotary Facebook page to see all of the fun photos of the night. We appreciate your generosity and look forward to seeing the impact this night makes possible for these organizations. Predator Termite & Pest Control Co. 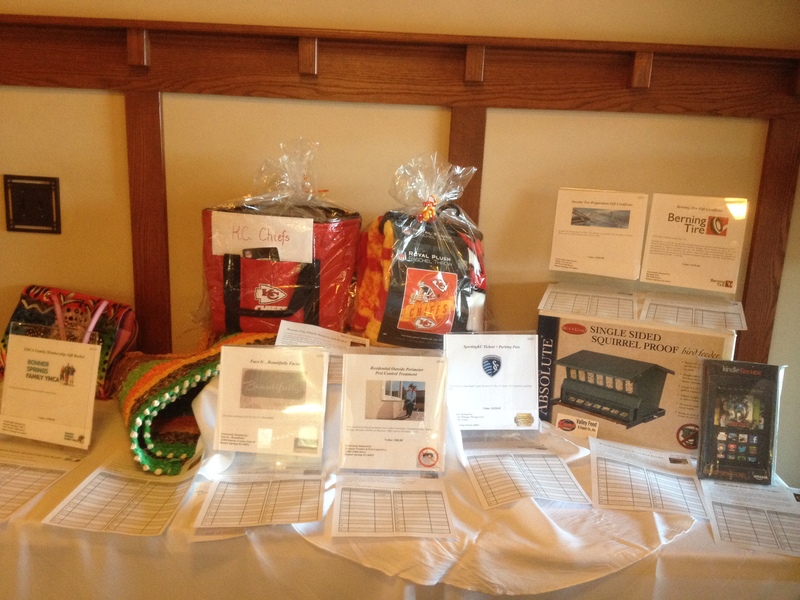 Thank you to the following individuals, businesses and organizations who donated silent auction/raffle items. Check out the Speakeasy Catalog that lists more than 70 items donated. These were displayed on every table for guests. Valley Feed & Supply Co., Inc. 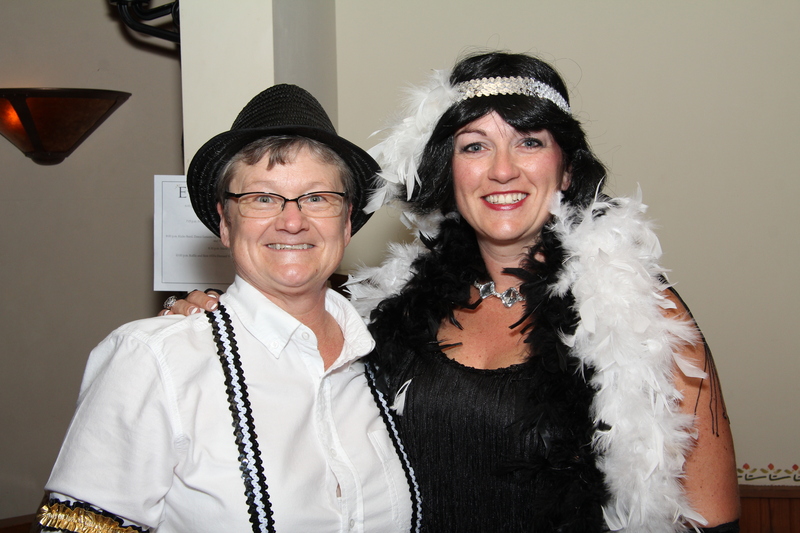 Thank you to the amazing volunteers committed to making the Speakeasy a success! This entry was posted in Fundraisers and tagged DDS Judy Miksch Mary Ann White Miller Tax Service Miller Towers Perry and Trent, Inc. Vaughn-Trent Walter's Dance Center X-Cess Self Storage, L.L.C. Predator Termite & Pest Control Co. Pure Movement Integrated Health Center Reece & Nichols The Parks Family In Kind Sponsors Grand Slam Liquor Provence on the Prairie The Looking Glass , LLC Mills Trophies and More The Bee’s Knees Al & Cathy Ramirez American Family Insurance Bodyworks Massage Therapy Chris Wood Charlie Thomas Commercial Risk Associates Country Club Bank Dairy Qu, SPONSORS! The Cat’s Pajamas Coleman Equipment Inc. Cox & Neal on November 10, 2014 by Bonner Springs Rotary Club. Like all civic organizations The Rotary Club thrives on volunteers efforts. However, not all volunteer opportunities give you the chance to step back in time to a place that only exists in history books. “Where it exists, make its influence felt.” Please join us in our effort to make the Bonner Springs Rotary’s influence felt within our community. The Speakeasy event will benefit for Vaughn-Trent as well as the Allegro Choirs of Kansas City, both organizations are part of the greater influence within Bonner Springs. “Let courtesy abound, widen acquaintance, intensify friendships.” Working together for the greater good has been proven to bring friends closer to one another. You will be working with those you know, those you’ve seen walking down the street or maybe even those you’ve never seen before. Volunteering at the Speakeasy is a great way to widen acquaintances. Look through our list of needed volunteers. Interested in volunteering? Contact Bonner Springs Rotary President Judy Miksch at judymiksch@gmail.com. Set-Up Team: Requesting 2-3 volunteers to help move furniture and set up the day of the event on Nov.1. 8:30 a.m. – 10:30 a.m.
Silent Auction Set-Up: Requesting 1 volunteer to help with setting up items on tables with bid sheets. 5 – 6 p.m.
Bouncer: Requesting one person to act as our Bouncer for the night when guests check in. 5:30 p.m. – 7 p.m.
Bartenders: Requesting 2 volunteers to serve as bartenders for the night. 5 – 10 p.m.
Gambling: Requesting 4 volunteers to assist with Blackjack and other Gambling needs. 6- 10 p.m.
Check-In Station: Requesting 2 volunteers to manage the A-M & N-Z last name list when checking in guests. 5 p.m. – 7 p.m.
Silent Auction Checkout Station: Requesting 3 volunteers using 3 I-Pads to check out guests with credit cards and also collect cash/check. Will have at least 2 i-pads but if you have one, that’s a plus! 5 p.m. – 10 p.m.
Sell Raffle Tickets: Requesting 3 volunteers to walk around collecting raffle ticket money, providing guests with their raffle ticket, gathering tickets to be put in the raffle, and drawing the raffle ticket at the end of the night. 5 p.m. – 10 p.m.
Table Movers: Requesting 2 volunteers to move dinner tables out for the dance floor. 7 p.m. – 8 p.m.
Table Bussers: Requesting 3 volunteers to clear tables after guests eat. 6 p.m. – 8 p.m. Dishwashers: Requesting 3 volunteers to wash dishes. 7 p.m. – 9 p.m.
Training begins at 5:00 pm for some volunteer positions on November 1st. Dress in your best 1920’s garb or in black, casual attire. Volunteer name tags and dinner is provided. This entry was posted in Fundraisers, Volunteer Opportunities and tagged Bartenders, Bouncer, Check-in Station, Checkout Station, Dishwashers, Gambling, Raffle Tickets, Set-up Team, Silent Auction Set-Up, Table Bussers, Table Movers, Volunteer Needs on October 18, 2014 by Bonner Springs Rotary Club.